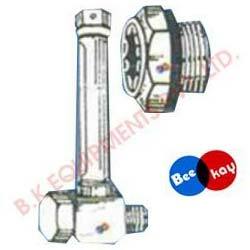 We are one of the overriding Level Indicator Manufacturers and Exporters, based in India. Our Pressure Level Indicator is widely used in fuel tanks, water storage tanks and other pressure tanks. Our level indicators are assembled with glass, which is used in pumps, gear box and lubricating systems. These level indicators are preferred for their high-level performance and durability.